way. 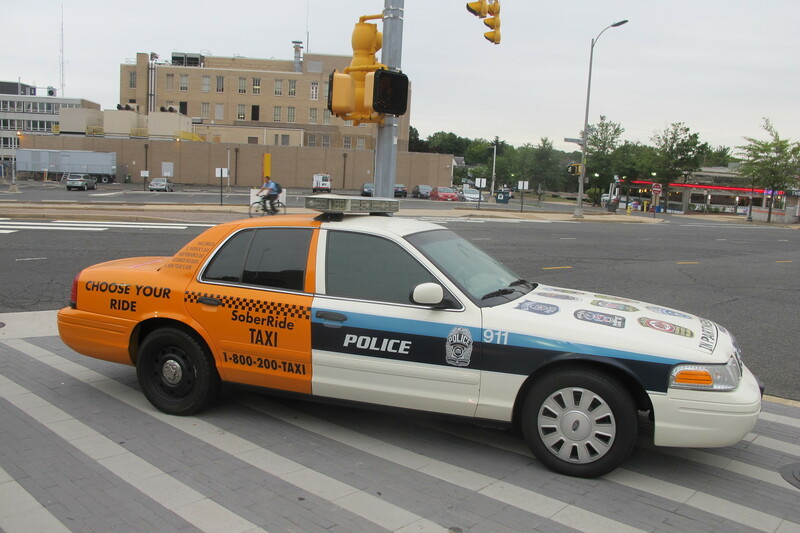 It is no secret that many retired police vehicles have been converted into taxi cabs and have been the majority of the nation's tax fleet for many years. The striking contrast in the paint schemes catches one's eye immediately. I think there is immediate curiosity to read the messages clearly printed on the vehicle once one sees it. There is no mistaking what is the best choice when having been drinking and it is time to leave the party to go elsewhere. The After Take: found all who looked at the photo impacted. Some had seen the car themselves, for it is moved about in the area into areas where there are a concentration of drinking establishments and the clientele that like to frequent them and celebrate when occasion permits, or calls for it. It is my strongest hope that this is an effective message and has resulted in a reduction in alcohol related injuries. The slogan is one of long standing "Don't drink and drive." Please be careful as these Holidays come upon us. Everyone deserves the most safety we can provide. PS It may be that we are looking at an example of what may be the end of an era. In this area, many taxi companies are opting to buy Hybrid cars with the Toyota Prius being the most popular. 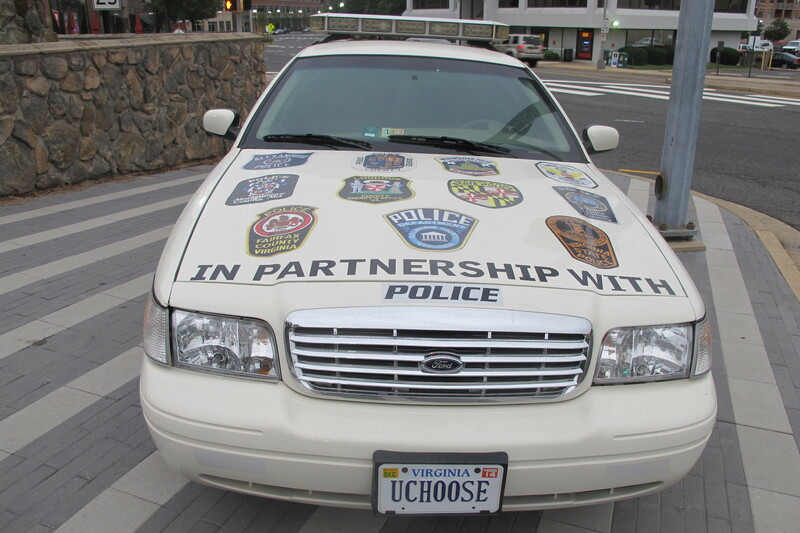 In that most police departments are not using this kind of economical vehicle, the cab companies are snapping them up as used cars, with some actually buying them new. The savings on fuel is simply amazing. I just bought a new mid level Prius and already it has shown me relief at the gas station. SUV's are becoming the vehicle of choice by many Police Departments with gas economy not being of the same concern as the Taxi companies. Oh man that is cool! Perfect for getting the message across. I'd be so confused if I got pulled over by that. This is hilarious. I think I would have pulled over for a shot of this as well. I have never seen anything like this before.